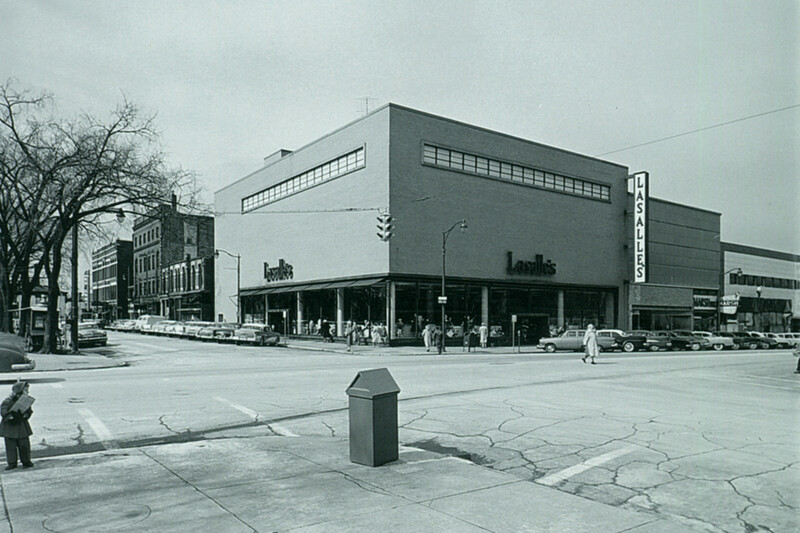 In February of 1948, Toledo-based Lasalle & Koch Company, announced plans to build a department store on this corner, with demolition of part of the Sloane House beginning in September of that year. Lasalle’s constructed a three story building with a basement level that required the removal of 5,000 tons of rock to create. You could have entered Lasalle’s either on West Washington Row or Columbus Avenue, and walking in front of the store you could have peered through its large first floor display windows framed with pink granite that wrapped around the building. The grand opening of Lasalle’s Sandusky occurred over two days on October 27-28, 1949. The evening of October 27th featured an open house preview attended by an estimated 10,000-12,000 people and broadcast on local radio. On October 28th, Sandusky ex-officio mayor John R. Kahler cut a white satin ribbon stretched across the store’s Columbus Avenue entrance to mark its official opening. 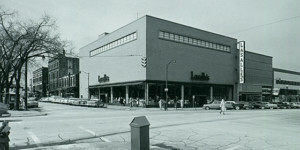 Lasalle’s anchored the downtown business district throughout the 1950s and 1960s, but the store struggled in the 1970s and closed permanently on June 12, 1982. The building remained vacant until 1993 when the Erie County government purchased and renovated it into space for county offices. This renovation included not only demolition of the store’s interior but also the removal of the building’s original façade and replacement with the one you see today. The downtown county office building opened to the public on February 1, 1996.